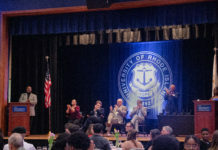 Multiple classes at the University of Rhode Island have begun to combat the problem of the campus art being difficult to find by setting a precedent of preserving the art and its history. The “works” that the class decided on were then used to create a self-guided tour of the art on campus as well as many of the “curiosities” that the university’s campus holds. The tour is online at uriarttour.wordpress.com, open to anyone to explore the art wonders that the university campus holds. Foster will facilitate this same class again this spring with the hope that the course will give students the opportunity to build off the tour created in 2014 and generate new or side tours. 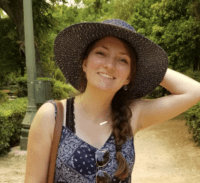 Her goal is to present a published source that will continue the public’s ability to explore the art and “curiosities” around the university campus. Another professor and group that has delved into trying to solve the problem of uncataloged campus art is Ron Onorato’s Art History 480 course. The six-student class is, in his words, “trying to call attention to the art [on campus],” by creating a published art map that people can carry with them and will outline information about the art as well as some of the historical and cultural spots around URI as they navigate around the campus. One of the downfalls to the art on campus much of it is not labeled so the artists do not get the recognition they deserve. “It’s important to know what our campus has,” Debbie Marbel, another student in Onorato’s class, said. “As an artist you would want to get credit”. Onorato’s class wants to change this and help bring the recognition back to the artists who have decorated the campus. By doing this, it is their hope that people who walk around campus will gain more respect and recognition of the art that surrounds them. Many people are unaware that that the murals in Edwards Hall were created by Gino Conti, one of only a few artists who received federal aid from President Franklin D. Roosevelt. These Â federal aids were given to artists in the hopes that they would help bring America out of the Great Depression during the late 1930s and early 1940s. “Art brings the artist’s legacy back to light,” said Hebe Lee, a student of Onorato.